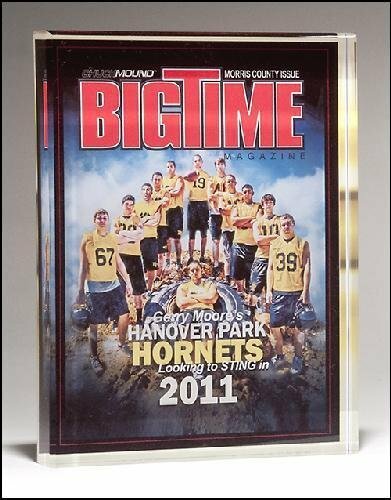 Personalize your rectangular acrylic award with full four-color sublimation reproduction. 1" thick, clear, freestanding acrylic. Individually gift boxed. 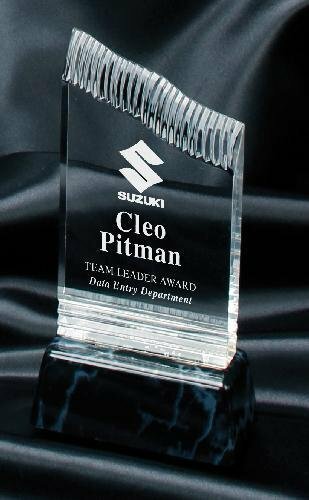 Personalize your diamond acrylic award with full four-color sublimation reproduction. 1" thick, clear, freestanding acrylic. Individually gift boxed. 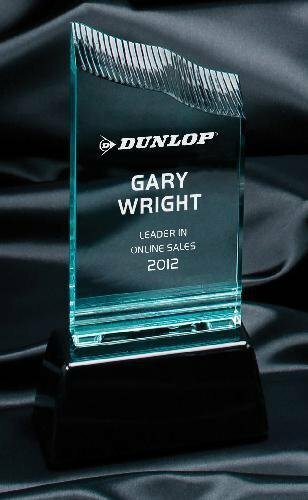 Sublimated glass awards - personalize your award with four-color reproduction. Imprintable area 4 -7/8" square. Clear acrylic frame. Individually boxed. Elegant is the only term that one can use when describing these Acrylic Summit Clear Awards. A contemporary look with stepped cuts along the top ridge adds depth to this item. 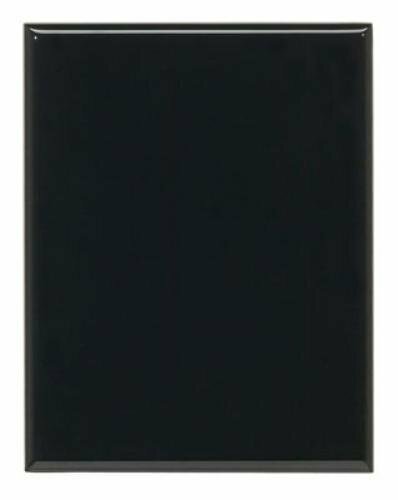 A large engraving or laserable area that can accommodate any of your personalization needs. This award sits atop a sleek black weighted base. Flexibility is a key component for these awards that come in your choice of three sizes 7 3/4", 9 1/4", or 10 3/4". These are beautiful awards that anyone would be proud to give or receive. Elegant is the only term that one can use when describing these Acrylic Summit Jade Awards. A contemporary look with stepped cuts along the top ridge adds depth to this item. A large engraving or laserable area that can accommodate any of your personalization needs. This award sits atop a sleek black weighted base. Flexibility is a key component for these awards that come in your choice of three sizes 7 3/4", 9 1/4", or 10 3/4". These are beautiful awards that anyone would be proud to give or receive. These Super Saver solid black finished are the perfect fit when you need a plaque for your award needs. The solid black finish surrounds the entire plaque giving it a unique look. 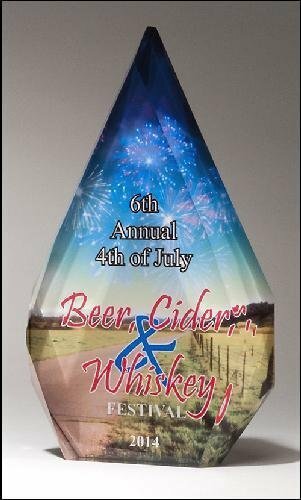 Flexibility is the key to these awards as they are available in 8 different sizes, 4" X 6", 5" X 7", 6" X 8", 7" X9", 8" X 10", 9" X 12", 10 1/2" X 13", or 12" X 15". They all provide ample room for whatever you personalization needs might be. 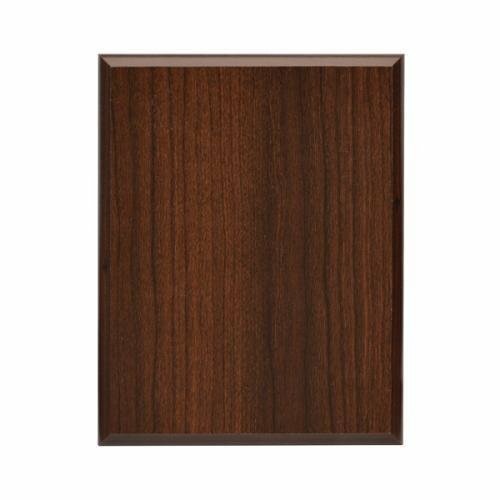 These Super Saver Cherry wood finish are the perfect fit when you need a plaque for your award needs. The unique edge continues the wood grain finish around entire plaque. Flexibility is the key to these awards as they are available in 8 different sizes, 4" X 6", 5" X 7", 6" X 8", 7" X9", 8" X 10", 9" X 12", 10 1/2" X 13", or 12" X 15". They all provide ample room for whatever you personalization needs might be. 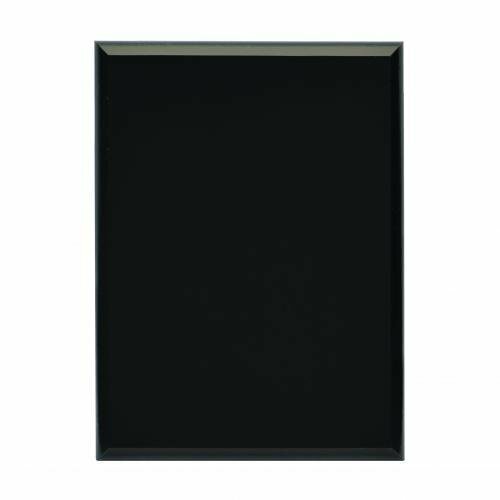 These High Gloss Piano finish plaques are a great choice for your next awards ceremony. 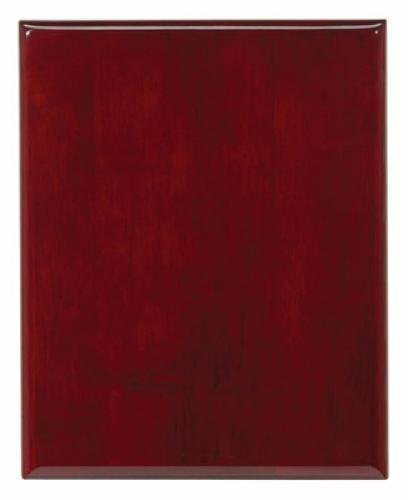 The high gloss piano finishes and contemporary bull nose edges give each piece a depth and richness that you will not find in any regular plaque. The back of the plaques are finished on the back in black felt to complete the overall look. 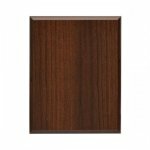 Flexibility is key as these are available in three different piano finishes, Ebony, Rosewood, or Walnut and a wide variety of sizes will surely fit any budget requirements. All of the plaques have significant areas that will accommodate any of your personalization needs. These are sure to bring a smile to any recipients face.